If you know toys at all, you know that Hong Kong-based Hot Toys makes 12-inch action figures that are uncannily realistic. But this new figure of Black Widow from Captain America: The Winter Soldier is... something else. Something beyond. None of these are photos of the actress; they are all of the toy (which will be available this summer or fall). 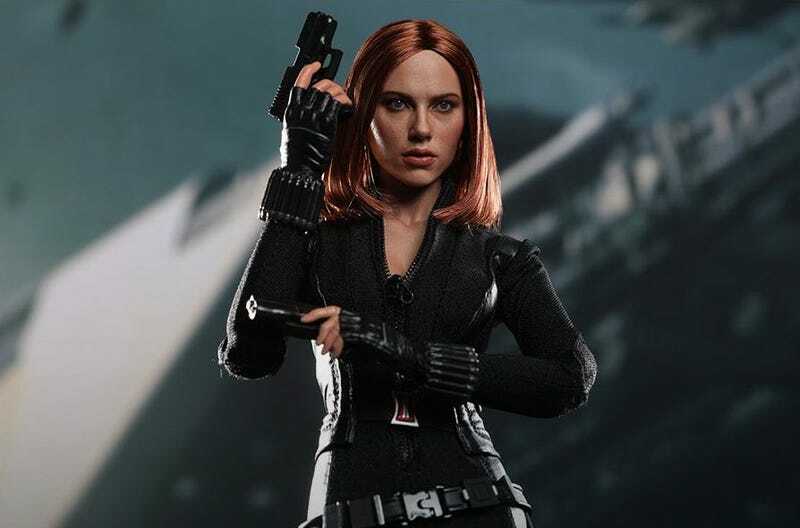 Seriously, if Hot Toys hasn't actually stolen Scarlett Johansson's soul, then I'm pretty sure they're the first toy company that has figure out how to make tiny human souls and put them into action figures. Gah. You can see more amazing, terrifying pictures here.